Fantaji Universal Role-Playing System ! Fantaji Formally known as Mazaki No Fantaji Is back ! Last time they had a great idea and a very cool game setting but they sadly were not able to reach their goal they were reaching for. But Anthropos Games would not be denied and they saw the fans loved their product and pushed forward to relaunch and reached their kick goal in short order ! Now with only a week to go they have unlocked a few cool Add-ons and look to crack open a few more. When Mizaki first kicked I spoke with Calvin Johns the creator and play tested it with some friends. My feedback after many playtests was people loved the setting but for some reason even though the system was already able to be universal.. People were just not of the minds set that it could be. I suggested to call it the Drama system back then and If he ever kicked it again to make it an Universal setting. Calvin informed me I was not the only Play-tester with that suggestion and they took our collective advice and jumped off with a new Kickstarter that is now Fantaji ! 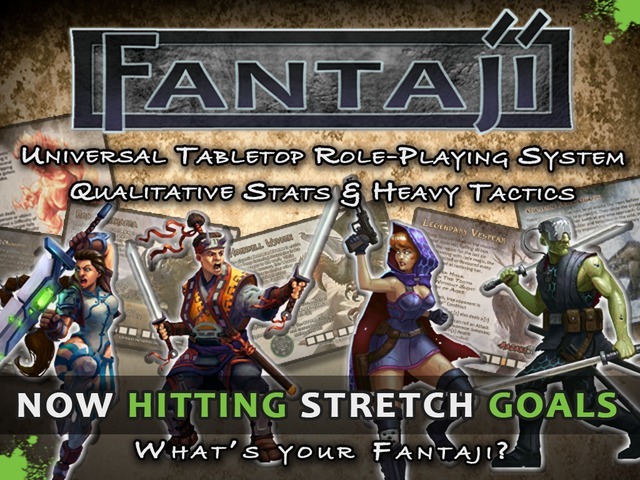 The Fantaji is a very cool D10 fast paced Drama trait action system. When your want to do something in Fantaji you call out to a trait and any aspects that you can tie to your action and roll a D10 for each. If you Hit your target number you succeeded. its as simple as that. Until you look closer at Traits and conditions. Much like FATE where the environment has Aspects that the players can use in the story. When you use these traits in Fate you get bonuses to your roll by expending FATE points for using that aspect of the environment or creating new aspects in combat. In Fantaji you can access any trait in play at any time to add dice to your dice rolls. Encouraging your players to use their environment in combat and also create conditions on the fly to improve their situation and give them more dice to access along the way ! This in my experience turns into a wild and fast paced set of circumstances where even when players are not in direct combat they can still be taking part dramatically by setting the scene and adding more environmental or conditional affects to the table. In Fantaji this is aptly called building Drama. An example might be while the Tank is going toe to toe with the giant. Your party’s Rouge slips behind and pours a bag of marbles at his feet. If his roll is successful he then he can put into play an aspect of “unstable footing” allowing anyone who taps this condition to gain an extra die ! But Be warned that Giant can use it as well !.. and the list of possibility’s goes on ! At this point of the kickstarter has unlocked three streach goals and is closing in on their fourth. If they get the fourth they will be adding a cool Steel & Steam setting to the already unlocked Crime Noir setting. Add-On Wise they are offering up a Limited Edition Hard Cover of their game. A pack of 36 Drama counters. A set of printed Tile sets and a NPC tile set for your games. All look to be pretty solid Add-on packages. I have also lobbied for a Printed Mini DM Screen since it reached its Streach goal unlock to be added but we shall see. It’s a pretty loose fast paced RPG setting that is now totally universal. Its got a loyal yet small fan base already, including this guy. 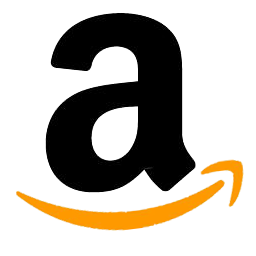 It is from a small company but they are proven and have been around for awhile. Now as a Universal setting the possibility are endless and your going to get at least 2-3 world setting plugged in for you from go. The book is done. Its already done. This is always a HUGE plus in any kickstarter. They just have to send it off to the printers. And there is also enough already available to download to start your games now while you wait for the final product to get to you..
For once I am very hard pressed to see any cons to this product. My only con would be if your group are not big on fast paced settings and descriptive combat this game is not for you. Crunchy dungeon delvers beware. Recommend it heck yes ! not only did I recommend it I was one of the first backers. I would say if you like fast paced free flowing games. FATE. Or Numenera. This is a system you would like. Lake Fate and Numenera Its a great new take on how RPG’s can be be run differently ! NOTE: There is a strong chance this will have a demo at Storm-Con ! Looking forward to getting it all together. Next postD&D goes back to Basic .. Is it worth it ?